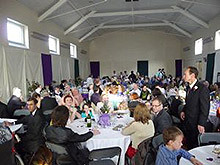 The large hall seats up to 200 (at banqueting tables). The small hall seats up to 25 people. Please note we only take bookings for parties if it is a children's party. Music is not allowed beyond 9pm due to noise restrictions in a residential area but other meetings may be possible beyond this time. To find out our rates, or enquire about making a booking, please contact Paul our bookings manager, by filling in the form below. Or ring him on 07852 105 197. Please note he is a volunteer so may not be able to get back to you for a couple of days. 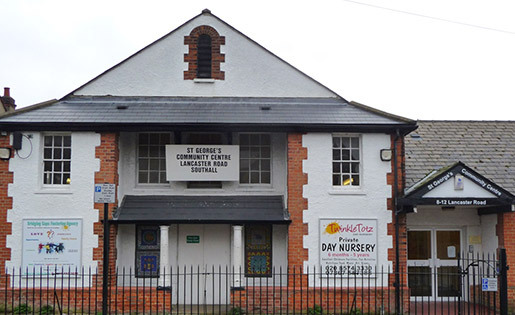 Our Community Centre is available for hire.